As the trees have started to lose their leaves and the foothills encountered their first snowfall, I'm reminded of how much God has blessed me. While most of the US is dreaming of turkey and pumpkin pie, my thoughts are more in line with authentic Chinese and Indian food. That's because two years ago I started praying about moving my business towards weddings and asked God to send me the right clients. And Chinese and Indian food? Well, they are part of that answer to prayer. 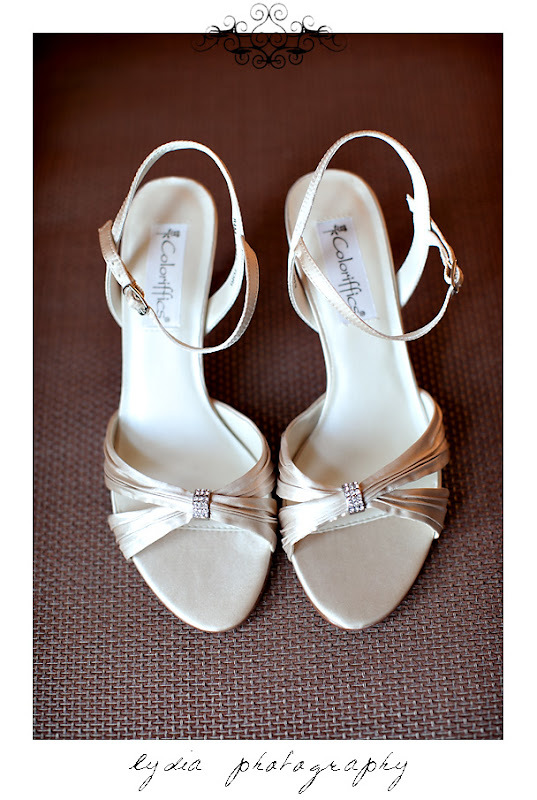 Surrounded by her bridesmaids, Yasmin bubbled with joy and happiness. No, she didn't want to read the newspaper, it was a day for only good news. 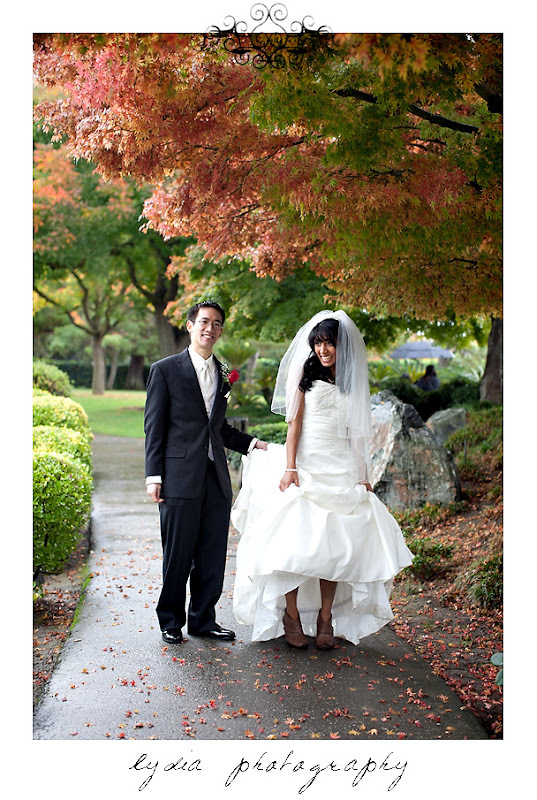 Yes, the pictures would still be at the Japanese Friendship Garden, rain or no rain, it was going to happen. She joked about the guys sleeping in later than the girls and laughed when she heard they would begin getting ready after they finished a little gaming. It was her day and at the end of it, she and her love would no longer be separated by thousands of miles. They would finally be together. While the rain did come, it held off long enough to allow them to see each other for the first time that day. In the beauty of the gardens, surrounded by their family and friends, they stood joyful and finally together. And continued to stand, side by side, as they sang praises to God, spoke vows of forever promises, and danced their first dance. It was their day and just the first of many together! 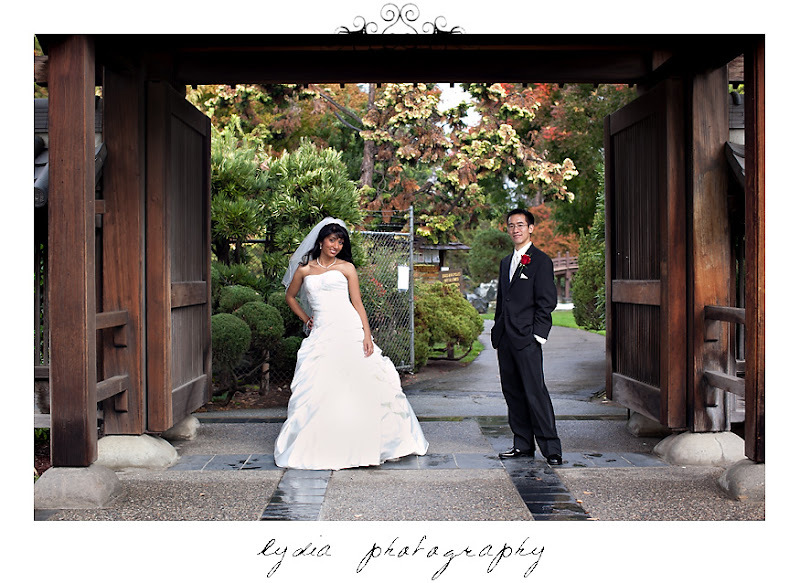 Yasmin and Daniel, I am so blessed to call you not only my clients but friends. I am so thankful that God brought you into my life! Soak in some of of that sun in Bali and enjoy your pictures! 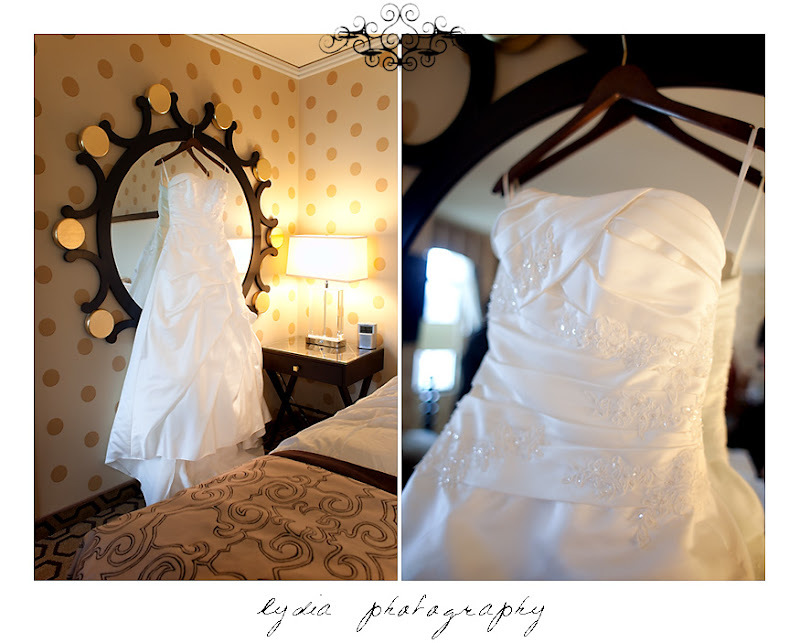 The day began at the elegantly modern Cypress Hotel. 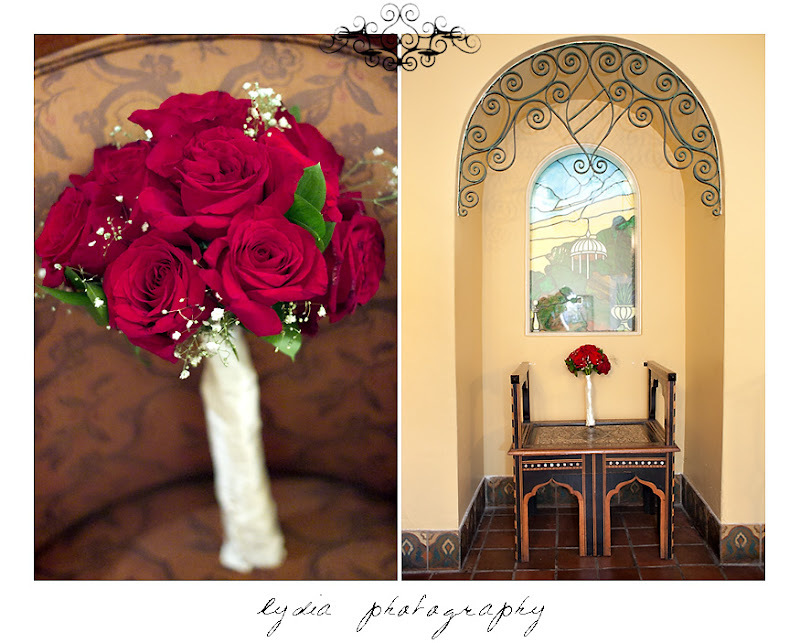 The decor was amazing and made the detail pictures just that much more special. 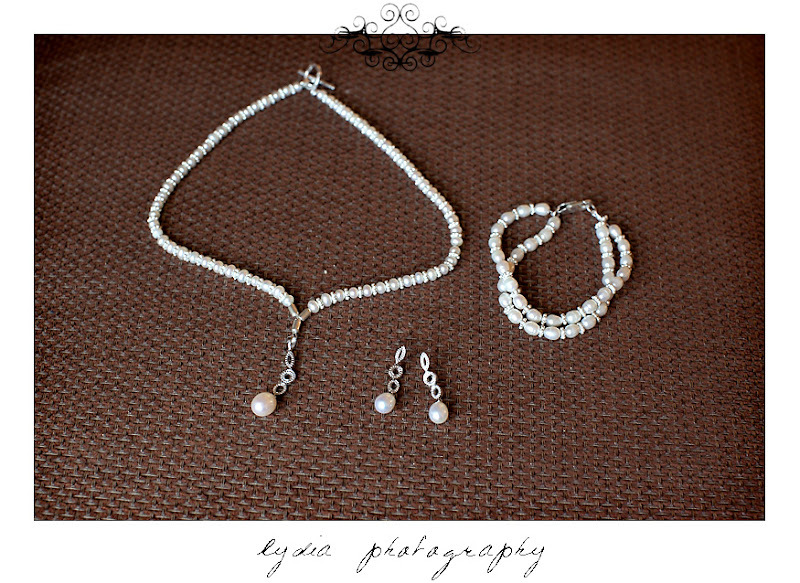 Yasmin's gorgeous pearls were designed and created by her mother! 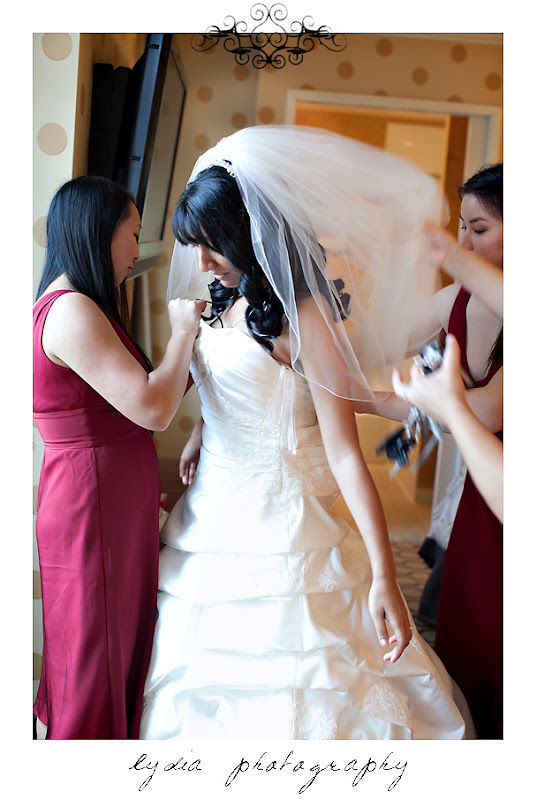 With makeup by Joyce Ng and hair by Celeste, Yasmin's natural beauty was enhanced to perfection. She was stunning! 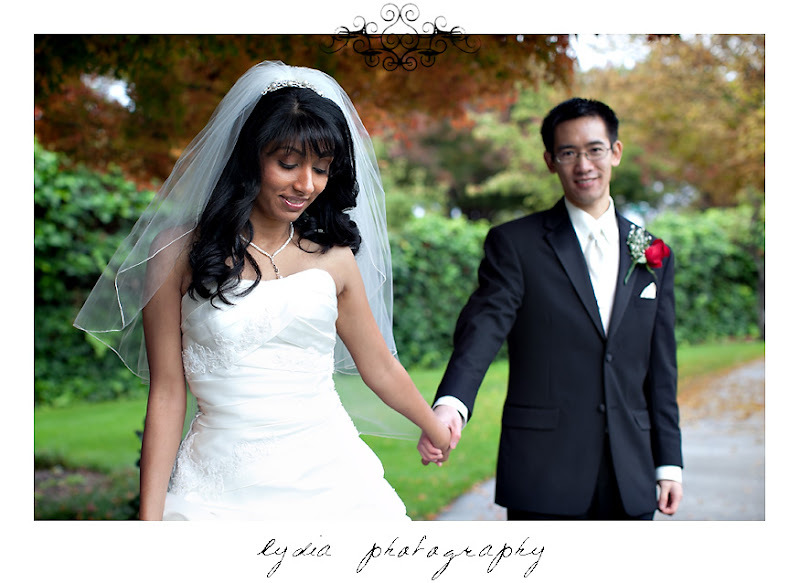 Yasmin and Daniel chose to see each other before the ceremony during a First Look in order to have more pictures together in a beautiful location away from the church and create a smoother schedule for the day. As you can tell, Daniel thinks she looks amazing! 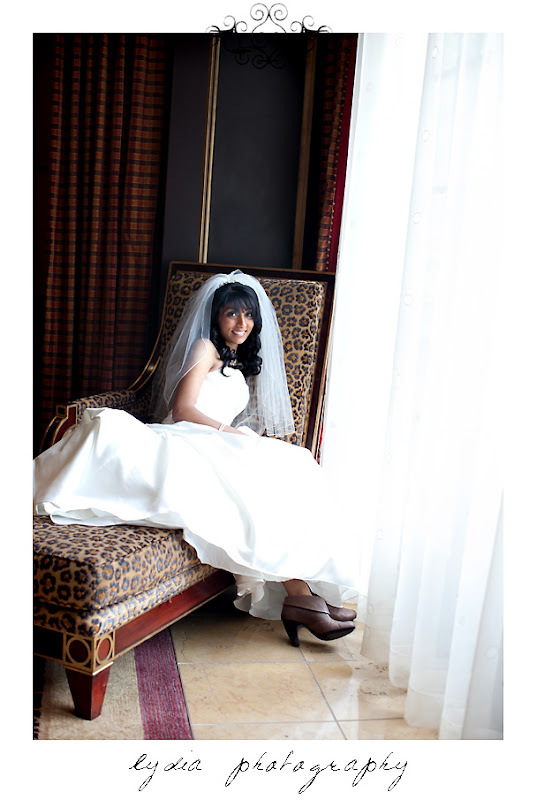 Can you say perfect bride? 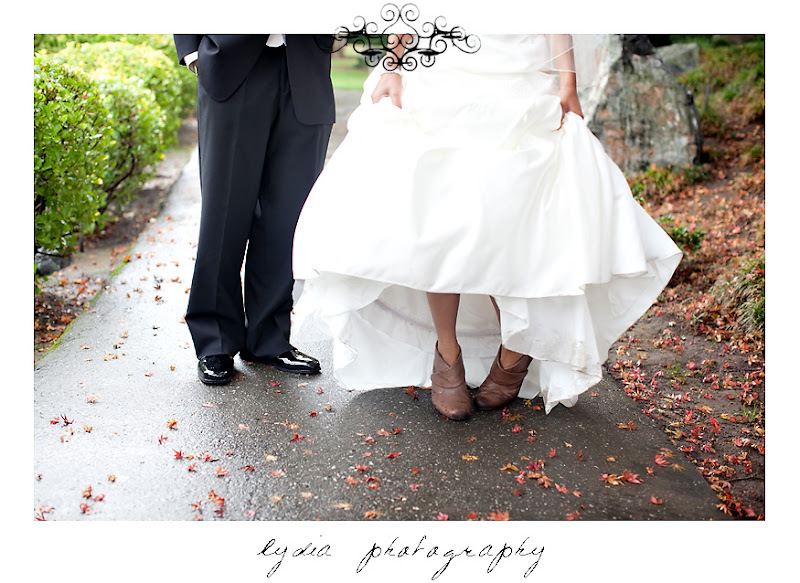 Yasmin not only braved the rain for all these pictures, but also brought along cute boots to keep her feet dry! Love! 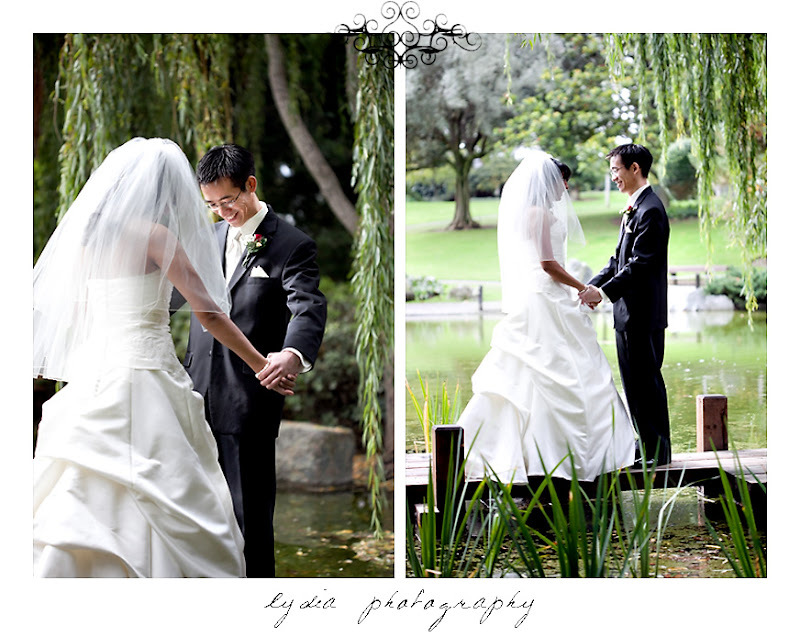 The Japanese Friendship Garden with its koi ponds, bridges, and trees made for an incredible place to shoot! 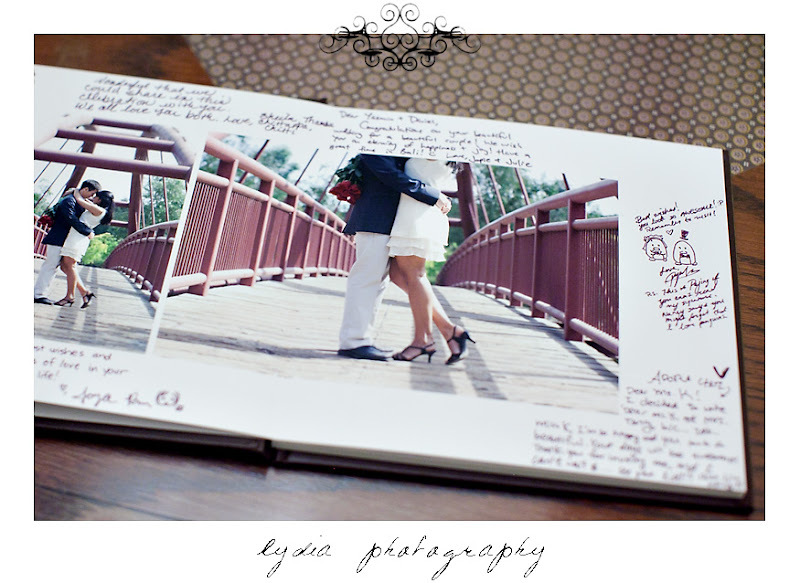 Using the pictures from their engagement session, Yasmin and Daniel's guestbook album was the perfect place for guests to records notes and best wishes for the couple. 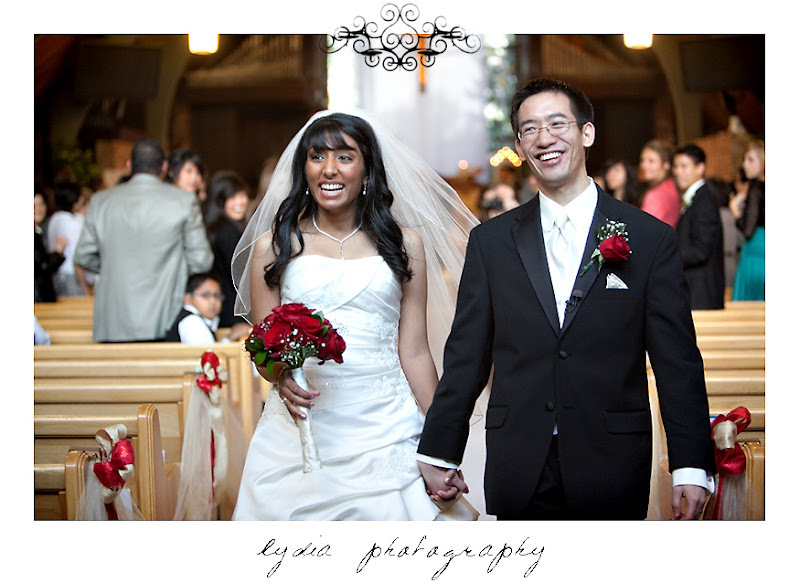 One of my favorite moments--the utter joy and bliss of finally being married! 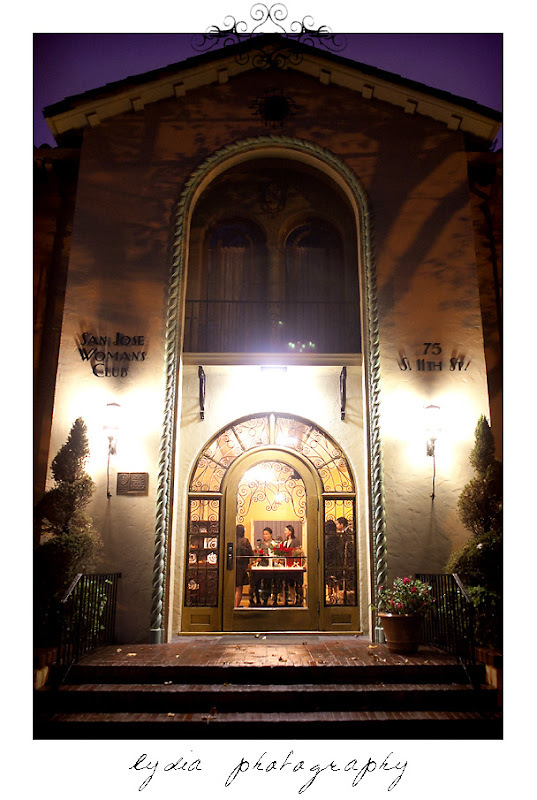 From Los Altos United Methodist Church, we moved to the San Jose Woman's Club for the reception. With its warm colors and elegant ballroom, it made for a beautiful backdrop for Yasmin and Daniel to add a touch of their heritage to the party. 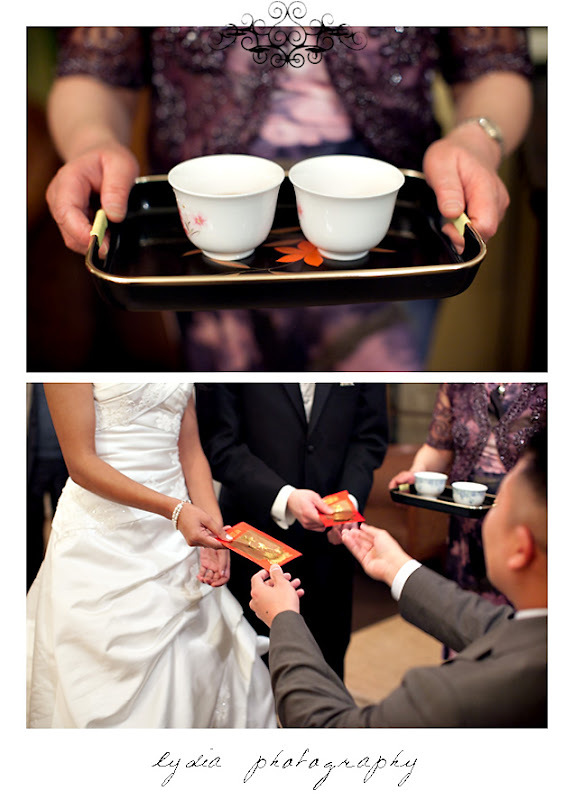 Beginning with a tea ceremony to the abundance of Chinese and Indian food, and various friends and family dressed in traditional ethnic clothing, it was a beautiful sight! Yes, I had my own special seat reservation! Yasmin and Daniel were amazingly so sweet and kind! 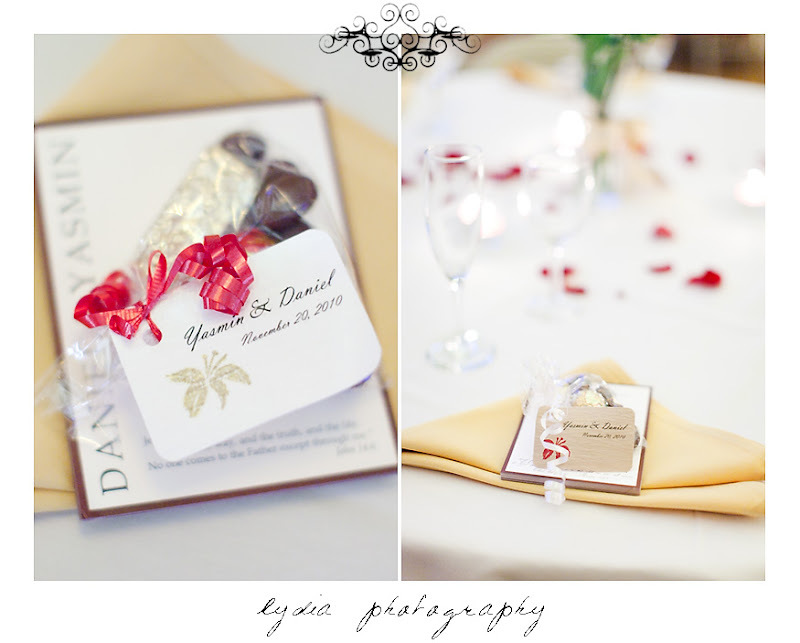 Yasmin and Daniel, I wish you many, many years of joy, laughter, and togetherness! 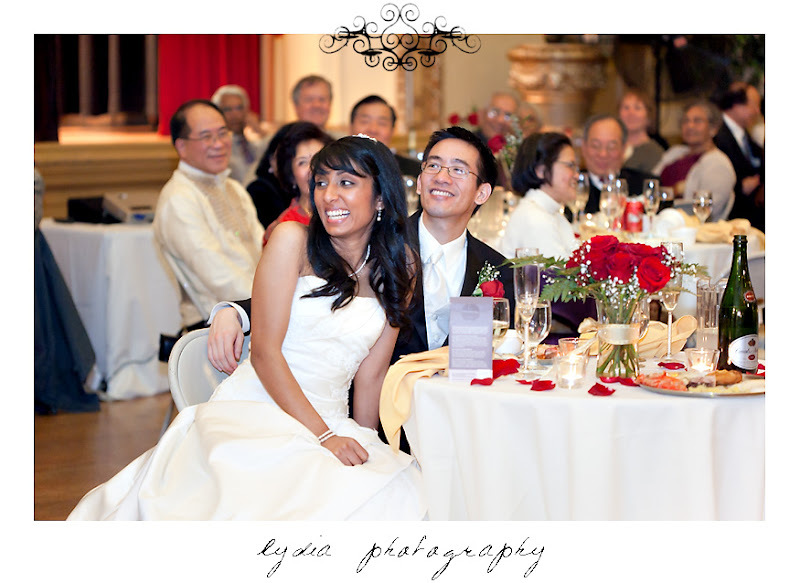 To view more of Yasmin and Daniel's Bay Area wedding, check out their personalized website! 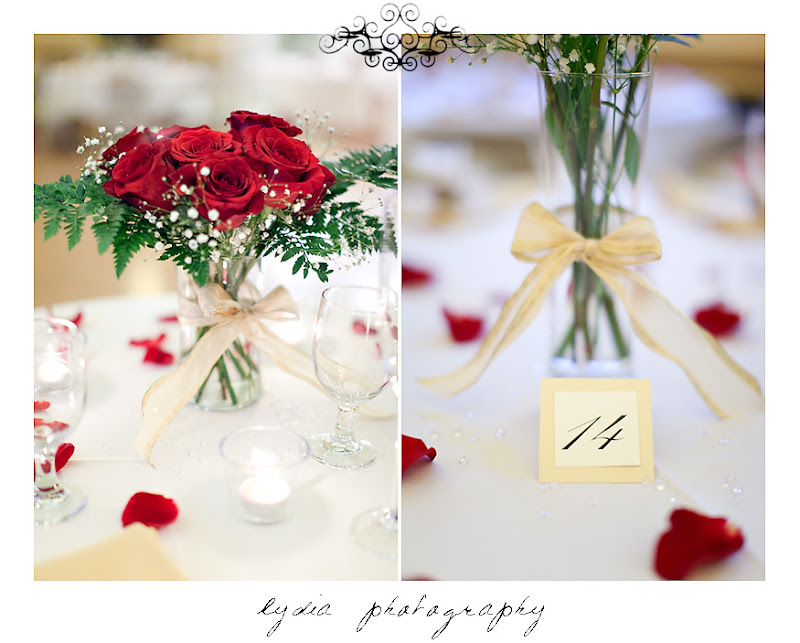 What a special day you captured Lydia. Very nice work! 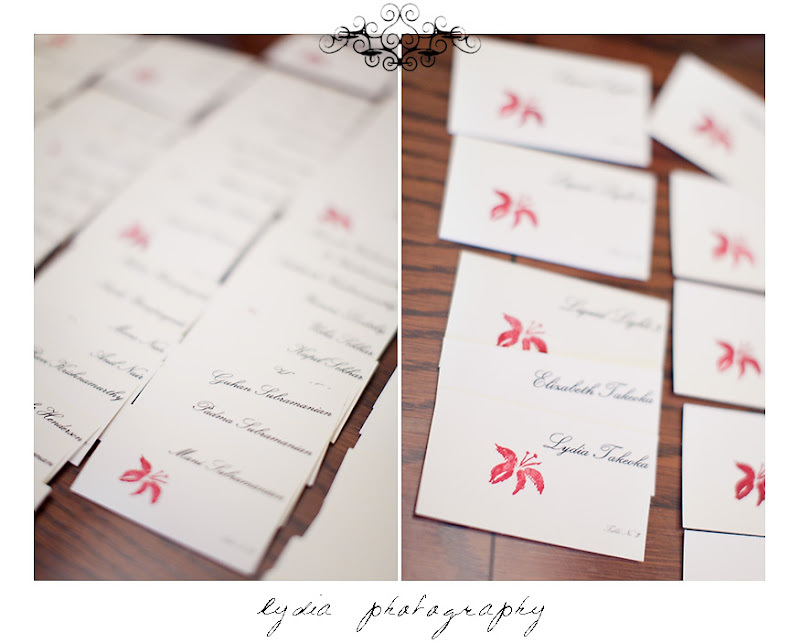 Looks like a really fun wedding to shoot...you did a beautiful job, especially with all those fun details. 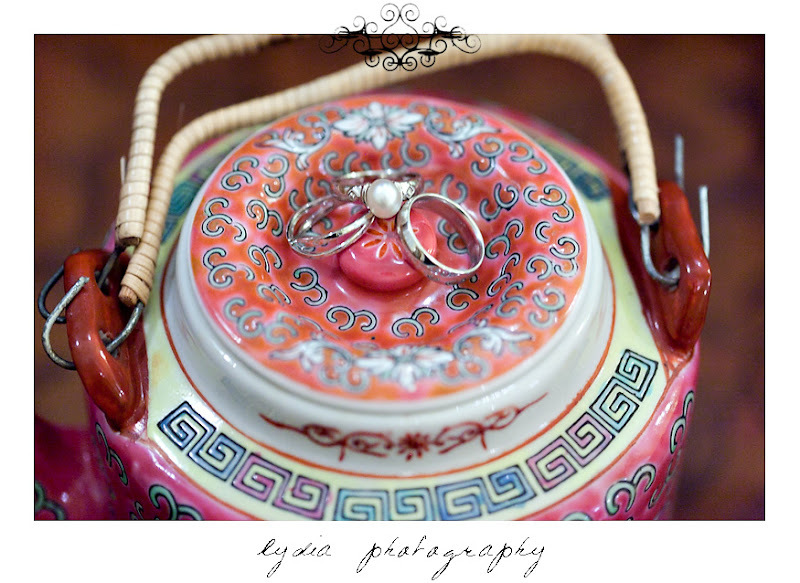 Love the rings on the teapot and the laughter that comes through that last photo.